Soccer is the most popular athletic sport played in the world today. The game is played on a rectangular field of various dimensions. The game begins with a kickoff at midfield. Play continues until one team forces the ball through the opponents goal with any part of the body but the hands and arms. When there is a foul or violation, a free kick is awarded to the other team at the spot of the violation. If the ball goes over the touchline, a throw in is taken by the other team. If the ball goes over the endline, either a goal kick or corner kick is taken. Each team has eleven players: one goal keeper, several forwards, halfbacks and fullbacks. The ball is moved along the field by dribbling, passing, heading, and trapping. The game is officiated by a referee and several linesmen. Penalty kicks may be awarded for fouls that take place inside of the penalty area. There is an area around the goal called the goal area. 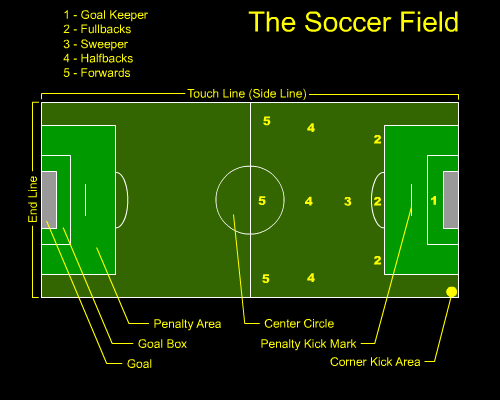 After a goal is scord, the other team then will kickoff at the center circle. Indirect Free Kick- the ball must be touched by another player before a goal can be scored. Penalty Kick- awarded when a foul is committed by the defensive team inside of the penalty area. The kick is taken from the penalty mark. Goal Kick- when the ball is last touched by the attacking team goes over the endline, the ball is placed on the nearest edge of the goal area and kicked by the defensive team. Corner Kick- if the ball is last touched by the defensive team last and it goes over the end line, the ball is placed on the nearest corner and kicked by the attacking team. Throw-In- When a team knocks the ball over the touch line a throw-in is awarded. 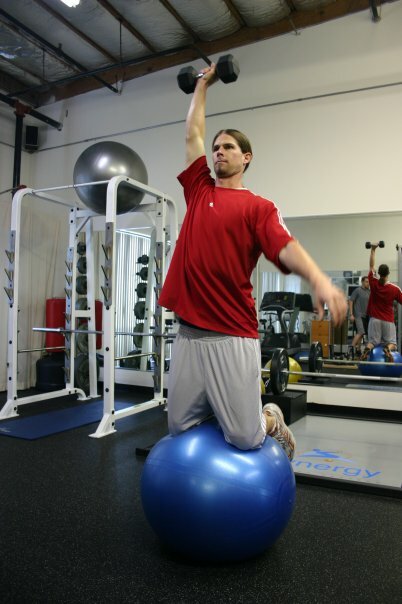 The ball is held behind the head and thrown in with both hands. Both feet must remain on the ground until the ball is released. Soccer — played in various forms since ancient times, is by far the most popular game in the world. Civilizations throughout history including the Chinese, Creeks, Romans, Persians, Egyptians and American Indians all played some form of soccer. Although soccer has been played for thousands of years, it was not until 1863 in England, in attempts to standardize the game, that modern rules were established. The following is brief highlight of origins of the sport of soccer. This brief synopsis is taken from Volume 7 of the National Soccer Hall of Fame’s newsletter 90 Minutes. The Indians played a game called pasuckuakohowog, meaning “they gather to play ball with the foot.” Beaches, a half mile wide with goals 1 mile apart, served as playing fields for as many as 1000 people at a time. Games were often rough, resulting in broken bones, but know one could be identified because players disguised themselves with ornaments and warpaint making retaliate close to impossible. It was common for games to be carried over from one day to the next with a feast for all at the conclusion of the match. The Eskimos played aqsaqtuk or soccer on ice. Balls were stuffed with grass, caribou hair, and moss. One legend tells of 2 villages playing against each other with goals 10 miles apart. There is no know date of origin. The earliest mention researchers have found of a soccer like game states that balls made of animal skin were kicked through a gap in a net stretched between poles 30 feet high. Records indicate that tsu chu was played as a part of the emperor’s birthday celebration. The Chinese also played some form of the game to train soldiers during the Ts’in Dynasty (255 BC – 206 BC). According to records. tsu chu was also played extensively during the Han Dynasty (206 BC – 220 AD). One story speaks of using the enemies skull as a ball. Another tells of a brave village defeating a Roman team and running them out of town in 217 AD; nonetheless, the history of the game in England during the 5th-11th centuries is a bit muddy. By the 12th Century, the game had become a violent mob sport with no rules and any sort of behavior condoned. This earned a succession of royal bans. Nevertheless, the sport grew in popularity. Formal rules of today’s game were adopted in England in 1863. Pacific Island inhabitants were early to develop games using hands and feet. They used coconuts, oranges and pig bladders as balls. Historians have suggested that fertility rites in Ancient Egypt and religious ceremonies in Ancient Near East may have been linked to the development of the game. The creation of the rubber ball was in Mexico & Central America. These people played games on a recessed court shaped like a capital “I”. The court was 40-50 feet long with vertical walls several feet high. In the middle of each wall was a mounted stone or wooden ring and the object was to project the hard rubber ball through the ring.